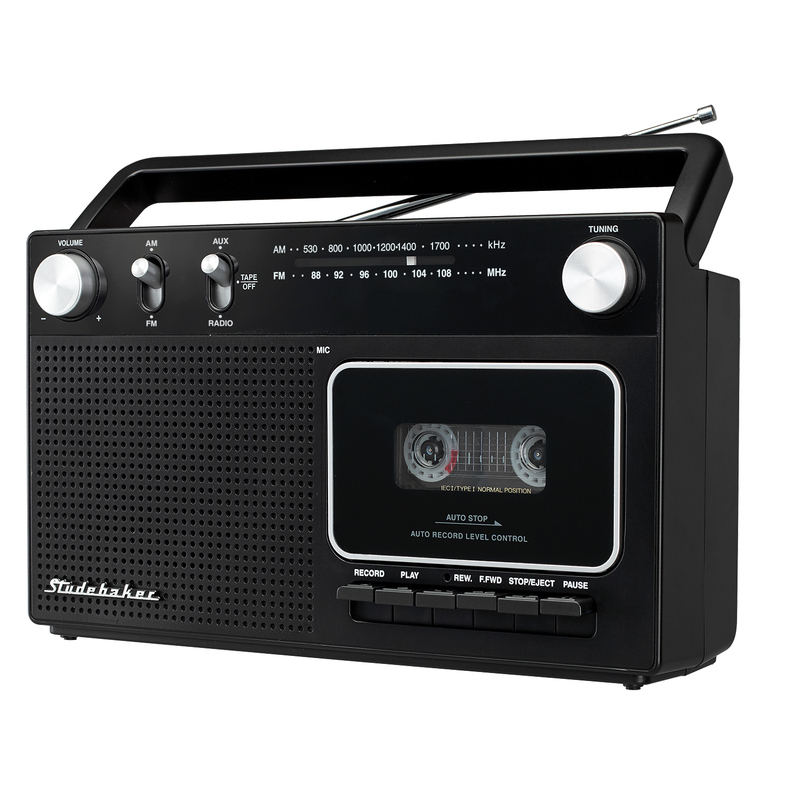 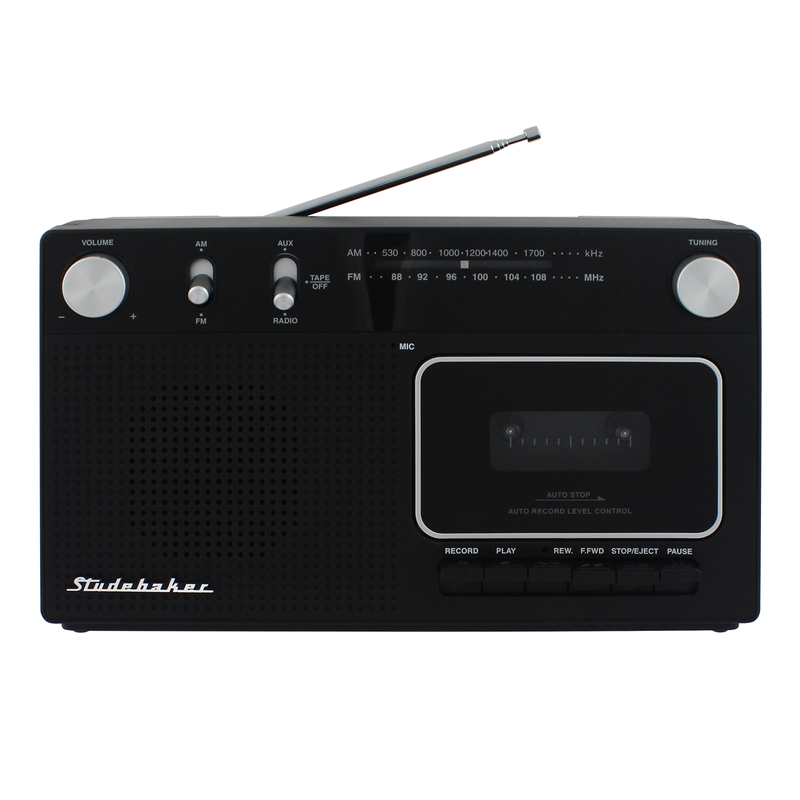 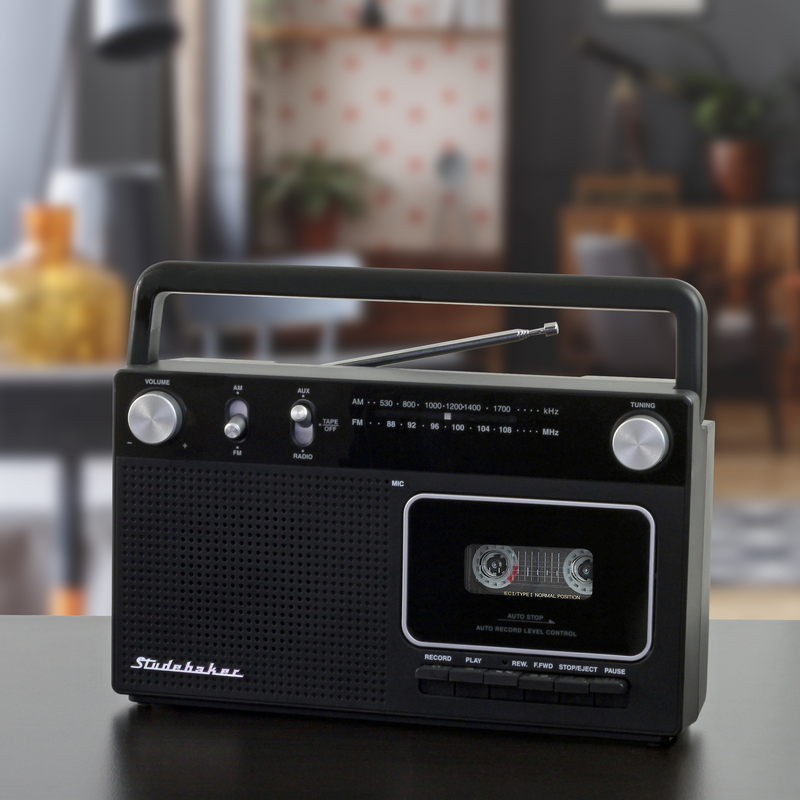 Not only can you play your cassettes on the Studebaker SB2129, you can record from the radio or aux-in jack with the built in condenser mic. 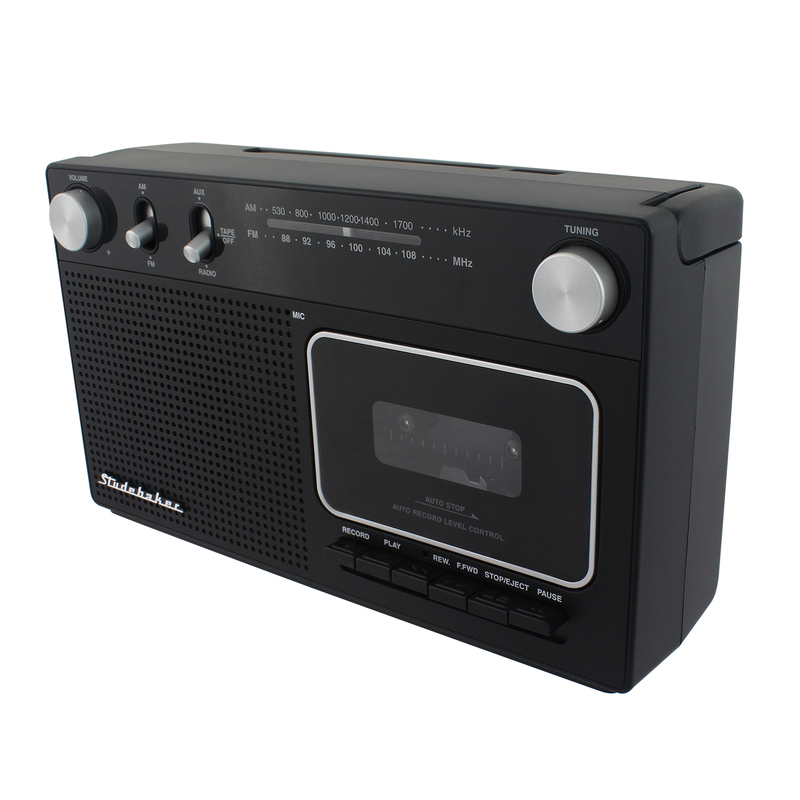 This Cassette Player/Recorder features an AM/FM Radio, carrying handle to take it anywhere you want. 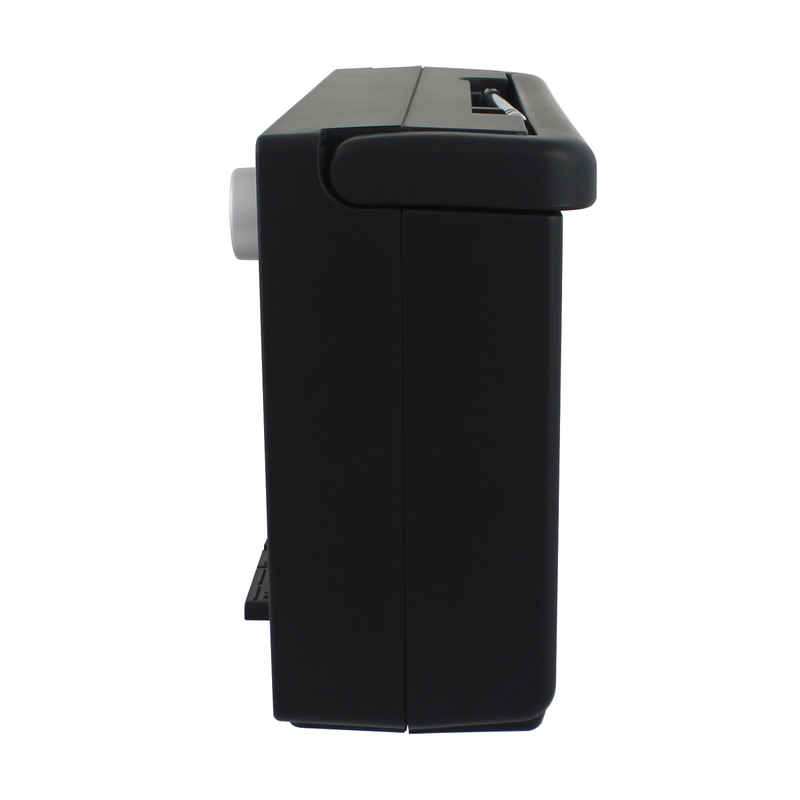 It comes with the AC detachable power cord and can also be operated by 6 C batteries (not included).